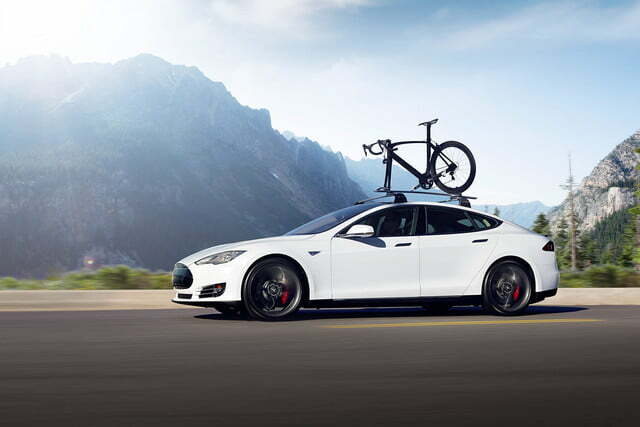 Tesla has been beta testing its “Autopilot” semi-autonomous driving systems on accommodating Model S owners for months, and last night the EV automaker began rolling out its technology to all Model S owners, along with other software improvements. 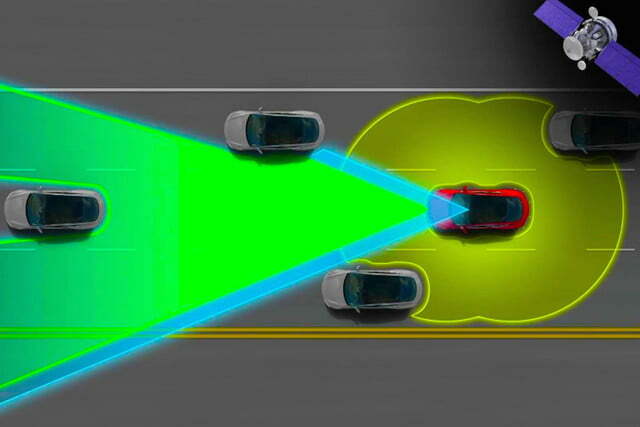 Well, we shouldn’t say all Model S owners, because Tesla’s Autopilot only works on vehicles equipped with radar and camera systems that have been applied since 2014. Still, over the next week, tens of thousands of current Model S customers (and the handful of new Tesla Model X owners) will begin enjoying Tesla’s suite of self-driving features, and they don’t have to lift a finger to do so (well, unless they want to take their hands off the wheel to experiment). Though Tesla’s Autopilot system is highly advanced, it’s important to note that these updates won’t render a Model S fully autonomous. There’s far too much regulatory red tape and necessary testing standing between customers and that technology (for now). However, by placing just a finger on the steering wheel (at least every couple seconds), Autopilot-enabled Model S and Model X vehicles traveling above 18 mph in reasonably predictable driving conditions will be able to accelerate, brake, and stay within lanes on their own. Compared to currently available systems, Tesla’s is unique in that, for one, as long as your Tesla was birthed with the right hardware, a simple software update reveals these semi-autonomous features to your car, and two, you actually can (but aren’t expressly given permission by Tesla) to take both hands off the wheel for short periods of time. “We tell drivers to keep their hands on the wheel just in case, to exercise caution in the beginning,” Elon Musk said yesterday at a press event. “Over time, long-term, you won’t have to keep your hands on the wheel — we explicitly describe this as beta … Regulators need to see clear evidence that the reliability is there,” says Musk. After a few seconds, the vehicle will request that you put both hands back on the wheel, or at least touch it to continue using Autopilot. 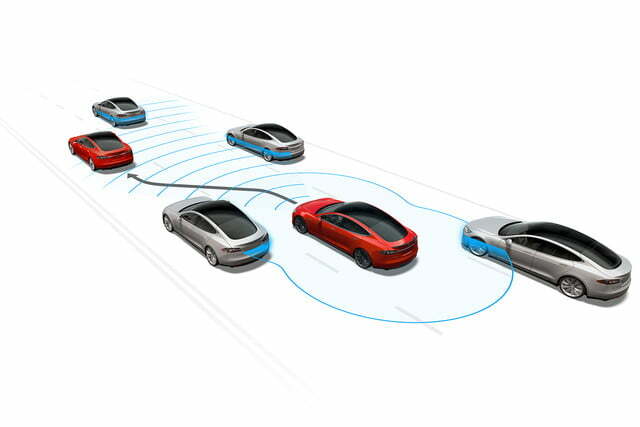 If the driver doesn’t respond, then the car will slow down and put the hazards on (this is similar to other self-driving systems on the market). The system can also change lanes (almost) on its own. The driver merely needs to check his or her blind spot, then taps a button on the steering column. The vehicle then does the rest, speeding up slightly and moving over a lane. If at any point you grab the wheel, Autopilot will turn off, giving control back to you. The wheel measures torque, so any small movements you make against it, it feels and responds accordingly. Musk was clear to mention that the hardware on present Tesla models won’t be enough to handle fully autonomous driving requirements, so don’t expect a simple software update for that when regulations finally allow it, but there will be future updates to address things like red lights, stop signs, and construction zones. And for owners of pre-2014 Tesla Model S’s, fear not. There are a handful of functional updates for you as well, though certainly not as cool. 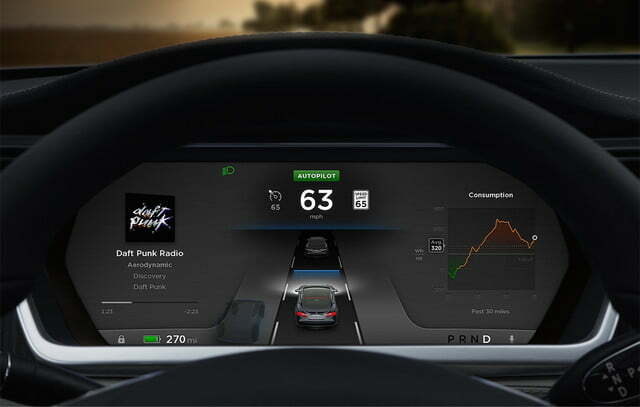 The visual display on the Model S and X has been updated with a new instrument panel, larger app windows, a new clock, and the ability to lock and unlock the vehicle from a status bar.